"A real-time system is a system that must satisfy explicit (bounded) response-time constraints or risk severe consequences, including failure." Thus, a real-time system executes the code to produce a precise answer and it does that within a prescribed time constraint; otherwise, this may lead to a system failure. Real-time does not necessarily mean fast processing capabilities. Higher priority tasks should be executed first. Tasks with the same priority level should be executed according to a Round Robin with a timeslice of 100ms (or as defined in the Task Quantum). For rule number one, the WinCE has 256 priority levels, higher values mean lower priority, and lower values mean higher priorities. Guidance on the usage of priorities can be found in the following article: Real-Time Priority System Levels (Windows Embedded CE 6.0). Regarding rule number two, when several tasks run at the same priority, the system will run each task for a time period of 100ms (this time period can be configured according to the Thread Quantum). Once a task has been executed for the specified time period, the kernel suspends that task and allows another task with the same priority to run for its configured time period (on WinCE this time period is called Quantum). Following this, if there is a third task with the same priority in the queue, the scheduler will then suspend the second task and start the third task until all the tasks with same priority have run once. Once all of the tasks have been executed for one quantum, the scheduler will start the first task again. A thread can only run for a quantum unless a higher priority thread requires the CPU. In this case the thread is pre-empted by the scheduler. Image 1: A computer hardware used in Toradex Colibri VF61 Iris module together with a carrier board. I will use two examples to help demonstrate the rules described above. The first example is intended to test rule number 2. I will start two different tasks, the first will set the level of digital output of my hardware to logical level high, and the other task will set the same digital output to low. I will use a Toradex Colibri VF61 256MB System on Module which is based on NXP®/Freescale Vybrid processor, along with the Iris Carrier Board (Image 1). The processor of Colibri VF61 is an Arm® Cortex™-A5 running at 500 MHz, equipped with 256 MB of RAM and 512 MB of Flash on module. 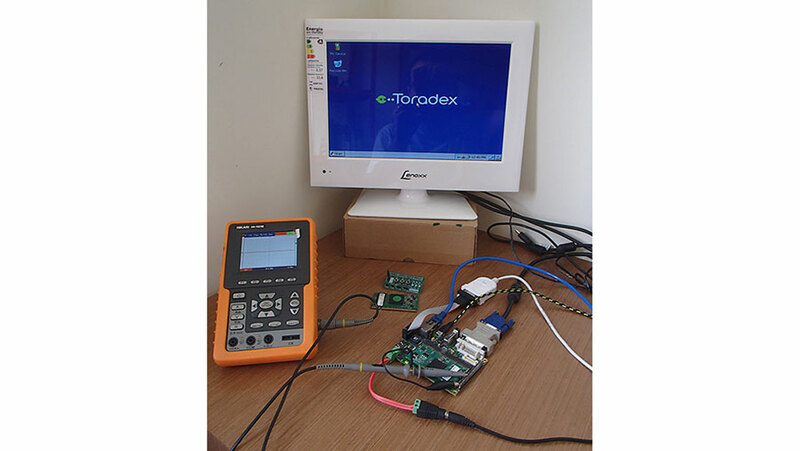 The OS is Windows Embedded Compact 6.0 and supplied by Toradex in a ready-to-use fashion to its customers. The WinCE license is included in it price too, cool right? I have implemented the source code below. Note that there are two different entry points for the threads: ThreadON and ThreadOFF. Each function contains only the instruction to set the same GPIO pin to high or low. Also, please note that each function will run indefinitely, and not explicitly; thereby releasing the CPU for other threads or programs. 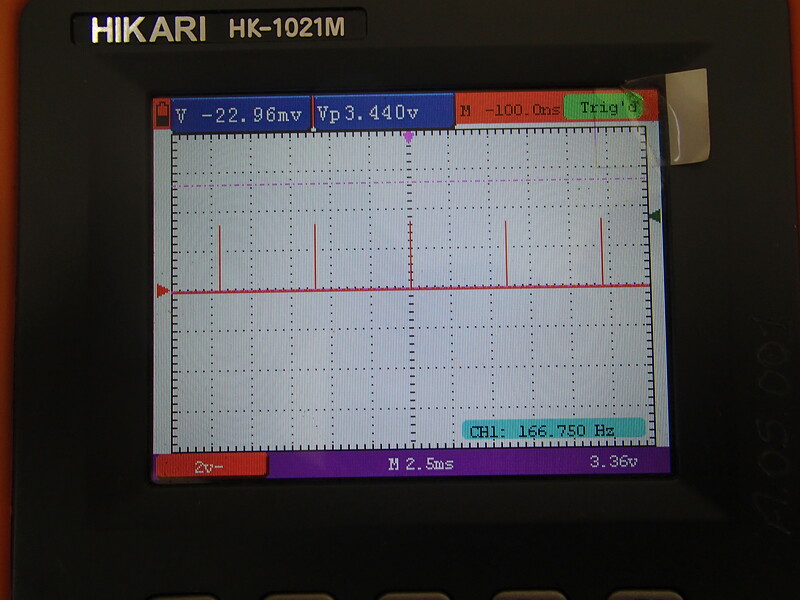 The main function starts the threads and we can see in the image 2 the resulting digital output behavior measured on an oscilloscope. As expected, once the tasks have the same priority level, they will alternate according to a Round Robin schedule with a "timeslice" for 100ms for each task. Therefore, this simple demo shows the second rule in action! Image 2: Perform two threads with the same priority level, the first connect a digital output and the second off. To test the first rule, we make the following changes in our code. First, in the ThreadON function I will write a Sleep(5) command which will make the thread suspend its execution and send a request to the scheduler to be resumed in 30ms. I will also increase the priority of ThreadON changing it from 100 to 99 (see the change to be highlighted in Yellow above). Thus, the ThreadON will have a higher priority than the ThreadOFF. 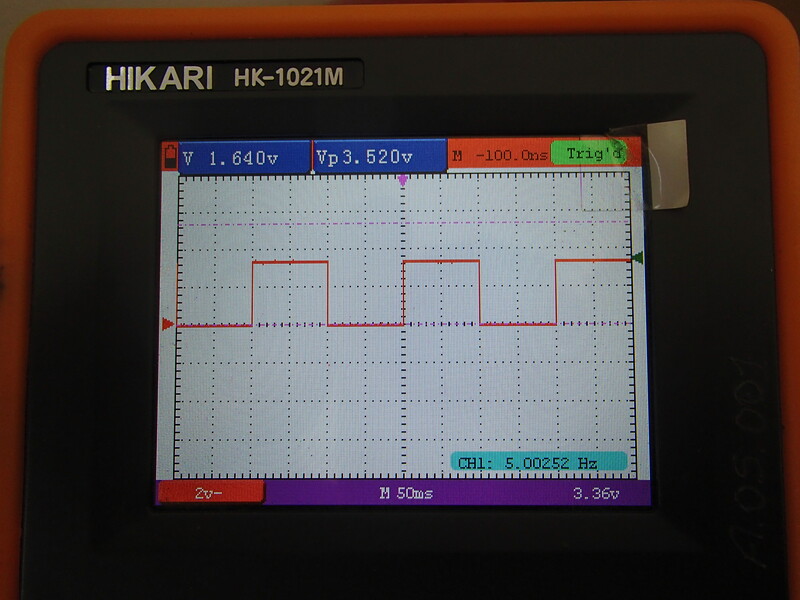 The result can be observed in the oscilloscope picture below. Each time the thread of higher priority wakes-up, the kernel stops the lower priority thread to allow the higher priority thread to run. Image 3: Implementing threads with different priorities. The highest priority thread interrupts the schedule of the lower case. “Hands-up” is an important signal if you are working with a multicore system. The WinCE Kernel started offering support for multicore processors from version 7.0. Then a new property, called affinity, will define which core executes the thread. If you try to run the abovementioned sample in WinCE 7.0 on a multicore system without determining that the booth treads run in the same core, the result will be different as they will run at the same time in different cores. Usually it’s not a good idea to set the affinity because by not setting it, we will allow the scheduler to run our thread on the first core that is available, thereby improving the latencies. Real-time is a necessary requirement today for a broad set of applications, including embedded system in industrial automation, applications of embedded systems in robotics or embedded medical devices. Knowing how to use threads and how the WinCE Scheduler works will allow you to get a deterministic execution of your application and enable you to create real-time systems using Windows Embedded Compact!